Spring is officially in the air and after a long winter it’s a great time to get outside and celebrate! 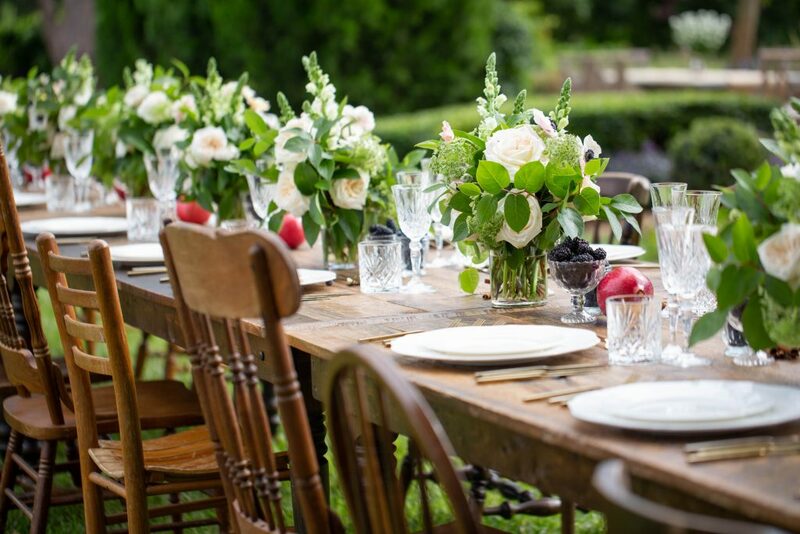 We hope that this tablescape from one of our recent family celebrations will give you some inspiration for your own Spring tablescapes. Our first tip is to bring it outdoors. 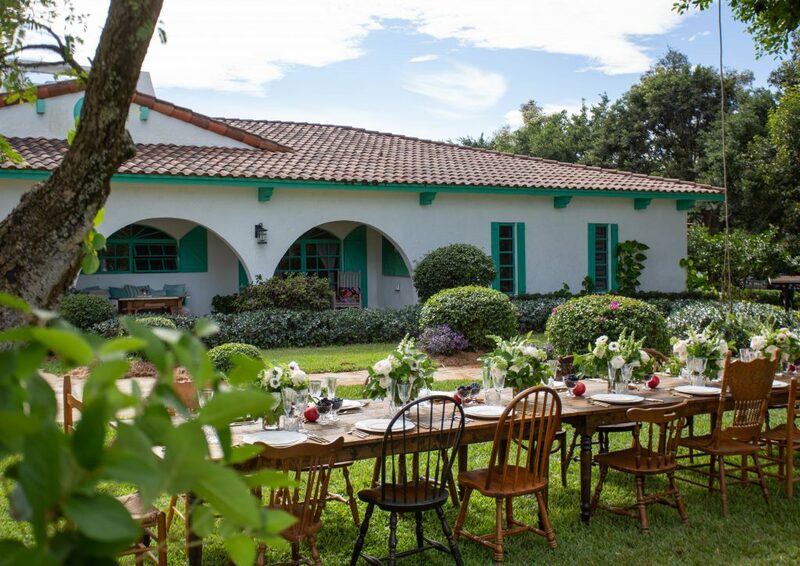 When the weather starts getting nice and sprigs of green start popping up everywhere with the sun shining bright, take your tables outside to enjoy the warmth with a chic outdoor picnic. 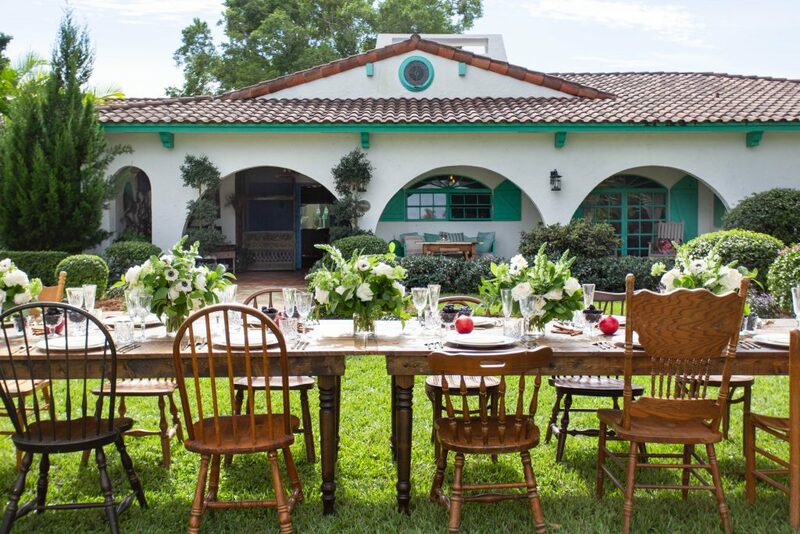 For our gathering, we were hosting a lot of ladies so we opted to place multiple rustic tables side by side so it looks like one long table. 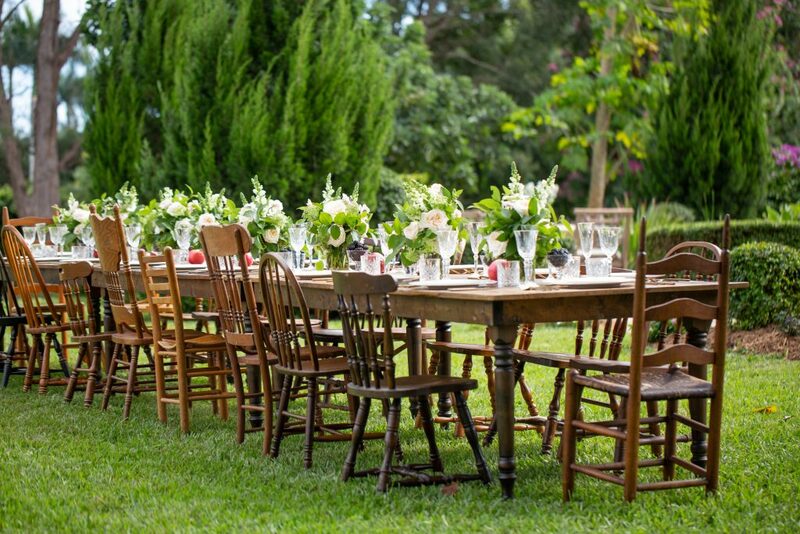 For a fun, whimsical look we used all different antique wood chairs. 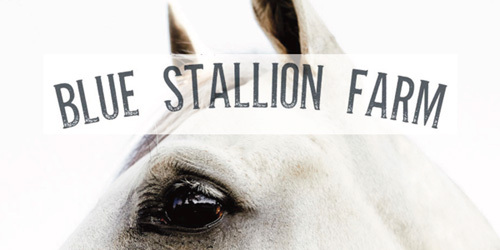 They come in all shapes and sizes and can be found for a great prices at your local flea markets and antique stores. 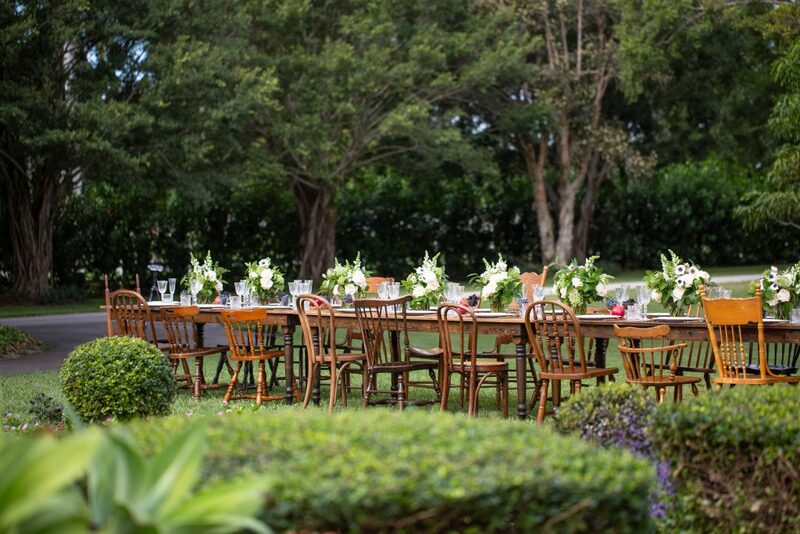 We love how the diversity of chairs elevated our tablescape. 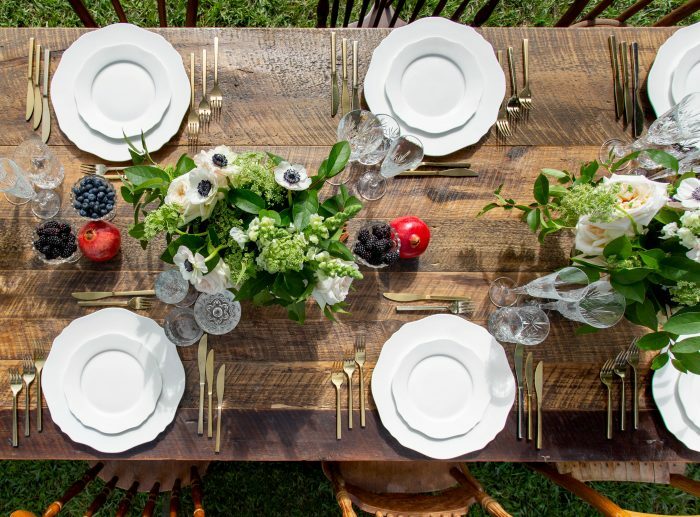 We wanted this tablescape to be fresh and chic so to pair with the rustic feel of the antique wooden tables and chairs we kept the dishware, glassware and silverware on the simple side. 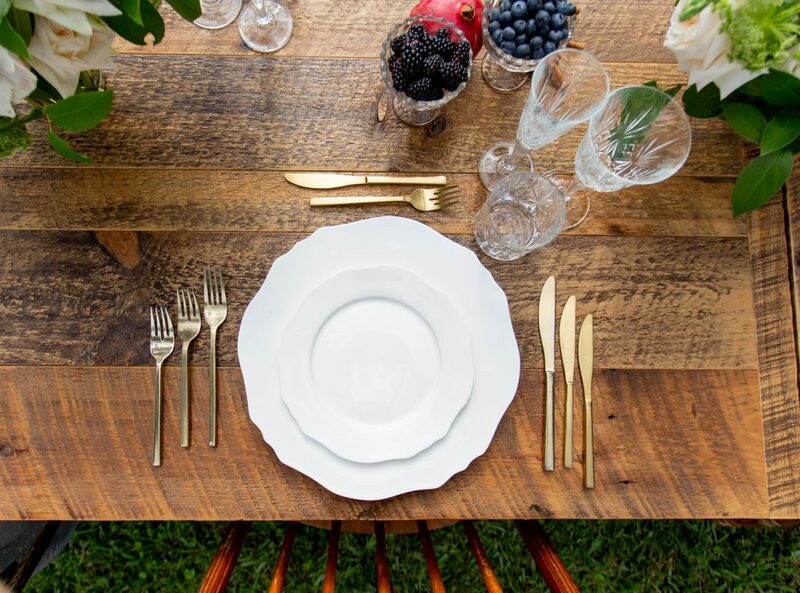 Crisp white plates paired with brass silverware is always a great go to combination. It has a subtle look that pairs perfectly with the crystal glassware we used. 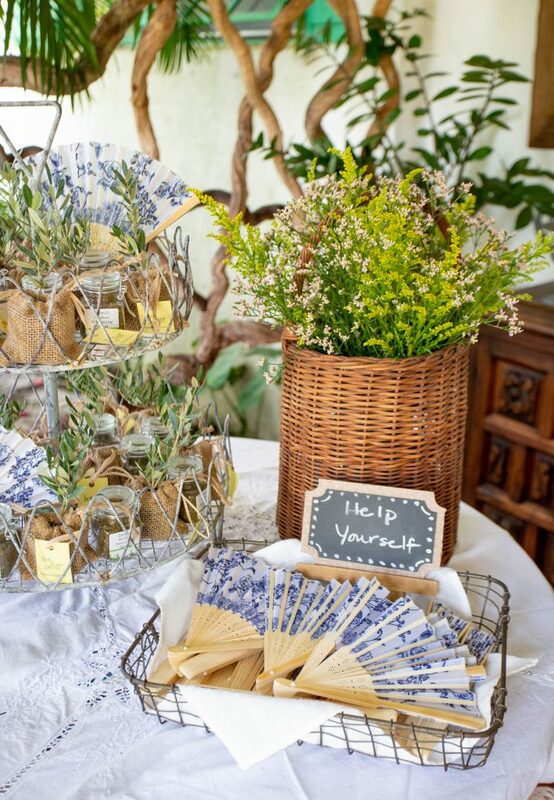 Use natural elements for centerpieces. To add some pops of color, yet still keep things natural and rustic we used blueberries, blackberries, whole pomegranates and cinnamon sticks as centerpieces. Not only do they look great but they are completely edible so if guests want a little pop of something sweet they can grab a berry! Monochromatic blooms make a statement. Who doesn’t love a good monochromatic flower arrangement? 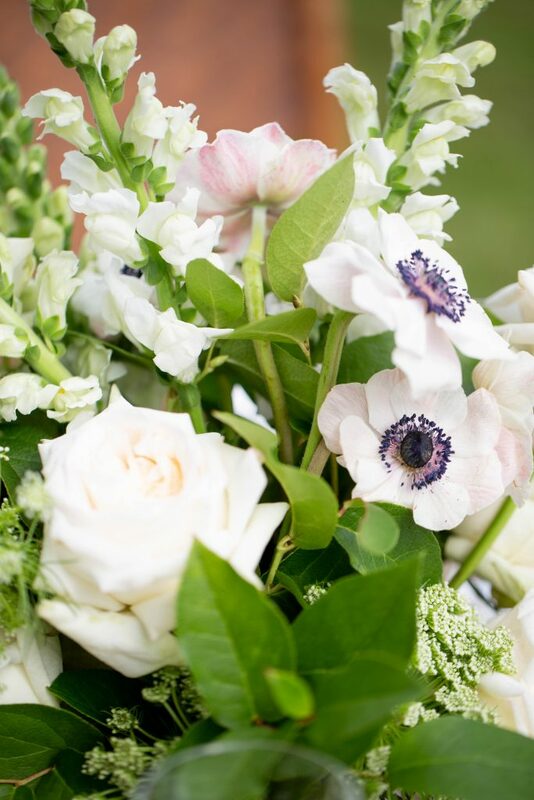 We chose the subtly of white and green for our blooms and made sure to keep the arrangements short enough so everyone could still see each other over the flowers. With a variety of white flowers such as Roses, Anemones, Snapdragons, Queen Anne’s Lace and some green lemon leaf for contrast it kept the table feeling bright and light…perfect for Spring! Lastly, give your guests a little takeaway to remember the day. 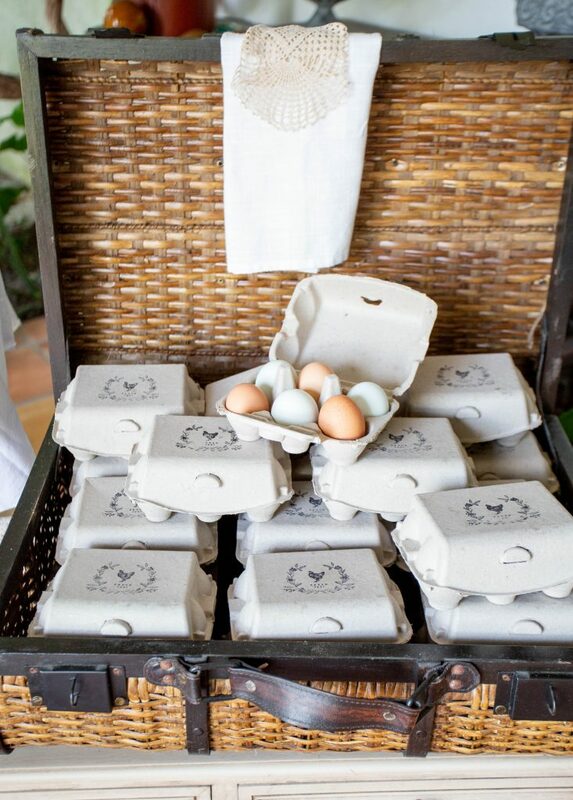 For our gathering of very special ladies, we offered them favors including a small potted herb, which is so cute and uplifting for this time of year, delicate paper fans to keep the chic vibes going and half dozen hand stamped cartons of farm fresh eggs from our hens. What says Spring better than that!? 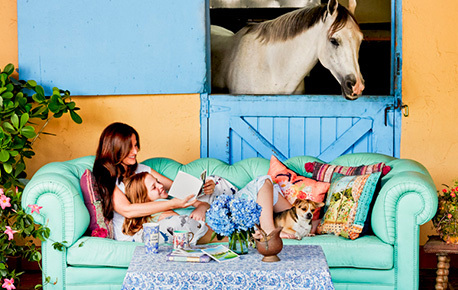 We hope that you will have lots of Spring gatherings with your loved ones to celebrate this season!